When talking of Renaissance history and the Enlightenment, Isaac Newton (1643-1727) stands as the scholar who oversaw the transformation from Renaissance thought, still largely built around a religious framework, to a quest for knowledge without the need for God. While Newton was a religious man, his research, theories, and philosophy caused a subtle shift in thought and the shaping of modern science, as we know it, although the wider picture is a little more complicated; the Reformation; the rise of the New World; and increased mobility of people and ideas also contributed. However, during this shift in thought, one of the largest in human history, Newton followed on from Aristotle, Avicenna, Galileo, and Francis Bacon in shaping the scientific method and creating a model that dictated how the universe worked. This physical model would survive until the coming of Poincare, Einstein and General Relativity, and Newton’s methods are still widely used and are taught in schools around the world. While most of us remember Newton as the discoverer of gravity, his research included mathematics, optics and philosophy in a revisiting of the great polymaths of old, a body of research that led him to create his great opus. Isaac Newton really was a man who sprang from humble beginnings, as a child of an illiterate farmer, who died three months before Newton was born, but his inborn intelligence and intuition would soon see him rise out of this way of life. As a child, he displayed an aptitude for mechanics, constantly tinkering and creating machines and devices, and constructing elaborate windmills, sundials and waterclocks. This practical side would influence his later scientific work in physics and alchemy as he voraciously devoured knowledge. During his school years, he showed inquisitiveness and a thirst for learning, burying himself in his books and neglecting his duties on the family farm. His potential may have been wasted had his mother had her way and insisted on him becoming a member of the noble Lincolnshire farming community, but his Cambridge-educated uncle had different ideas and saw a great deal of untapped intellectual potential in the boy. He returned to school and finished his studies, entering the notable Trinity College, Cambridge, in 1661, where he embraced the academic life and embarked on a course of self-improvement, always striving to fill gaps in his knowledge. Here, he had access to all the latest works in science, philosophy and religion, contributing to a well-rounded education. During his studies, he was introduced to Cartesian physics and philosophy, as well as the work of Kepler in planetary motion and Galileo’s mechanics. Due to his teacher, Isaac Barrow’s interest in optics, the young student developed a sophisticated knowledge in this field, the area that he soon mastered and which would contribute to many of his breakthroughs. Even here, fate was to take its course: During the course of his degree, the infamous Black Death sweeping through England meant that Newton had to return home for a year, due to closure of the university until 1667. It was here that he enjoyed a year of reflection and putting what he learned into practice, making his famous breakthrough when he discovered that white light was made up of many colors. During this period, he also worked upon the mathematical picture in his mind that would develop into calculus, his greatest contribution to science and mathematics. This work would soon form the basis of his fame and, upon his return to Cambridge, Newton was given a fellowship. In a wonderful display of academic magnanimity, Isaac Barrow resigned his chair in favor of Newton, recognizing that the pupil had surpassed the master, perhaps understanding that Newton had the intellect and insight that only comes around every few generations. Barrow circulated many of Newton’s papers in the right academic circles and ensured that his work was taken seriously. 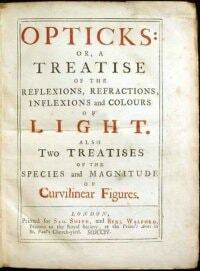 In 1672, Newton gave a series of lectures about his theories of optics to the Royal Society and he was elected a fellow, one of the most prestigious awards in the academic world. With this mandate, he continued his work and his discoveries of the properties of light and optics started to influence and change opinion, creating a subtle paradigm shift. Newton’s work on the movement of bodies and gravitation would not become influential until halfway through the next decade when, in 1884, Edmund Halley, later to become the Astronomer Royal, asked for Newton’s input in a particular area of planetary motion. For a while, mathematicians and physicists had proposed the influence of gravity upon planetary motion, and suspected that a force emanating from the sun influenced the movement of the planets. 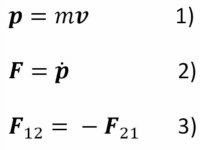 This unseen force tied the planets into orbits and followed the inverse square law, where the force acting upon the planets was inversely proportional to the square of the intervening distance. However, they had no way of proving it, despite the attentions of some of the greatest minds of the age. 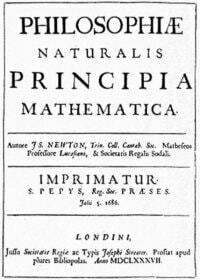 Upon asking Newton for his insights, Halley found that the scholar had already proved this, so Newton set about writing the proofs, giving a series of lectures and expanding them into his notable Mathematical Principles of Natural Philosophy. This book, also called the Philosophiae naturalis principia mathematica, or the Principa, regarded as a landmark text that stands alongside Euclid’s Geometry as a book that changed the scientific world. Newton’s life then took a strange turn into politics: In 1689, he was elected as the Member of Parliament for Cambridge University and he was employed by the Chancellor of the Exchequer, in 1695, as a warden responsible for prosecuting coin clippers and counterfeiters, and pursuing other financial fraudsters. Excelling at this task, Newton then became the Master of the Royal Mint, a position that he held until his death. His Mastership of the Mint was, by no means, a full-time position and his thoroughness and efficiency meant that he had plenty of free time for his academic pursuits, returning to his work on mathematics. Amongst a raft of papers, he produced further work on optics, new and updated versions of the principia, and a few other books, the Arithmetica Universalis, De analysi, and the Methodus Differentialis. Newton’s influence was so great that very few dared to question his findings and those that did tended to be based in continental Europe. The German philosopher and mathematician, Gottfried Leibniz, had a long-running feud with Newton, concerning who actually invented calculus, with claim and counterclaim flying across the English Channel. This was never fully resolved, and it is now accepted that both of these great mathematicians developed calculus independently, albeit influenced by each other’s work and initially, at least, acknowledging the findings of the other. Controversy also surrounded Newton’s treatment of Robert Hooke, the father of microscopy and the scholar who proposed the inverse square law of gravity. While President of the Royal Society, anecdotal evidence suggests that Newton tried to obscure the work of Hooke and had the earlier scholar’s portrait removed. 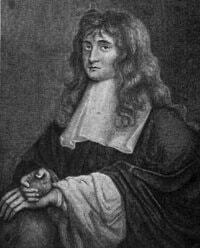 This is unclear and Newton certainly paid heed to earlier astronomers and mathematicians such as Huygens, Kepler, Copernicus, and Descartes, who all provided foundations for Newton’s work, so it seems strange that he would single out Hooke in this way, although academic jealousy is a strange and unpredictable universal force. 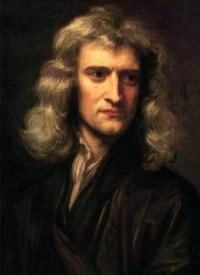 Long after his death, Newton’s influence continued, with no real challenges to Newtonian physics arising until the early 20th century and the Theory of General Relativity. Most modern observers tend to define Newton by his contributions to mathematics, optics and calculus, but he made contributions to theology, philosophy and the natural sciences, too. Of course, Newton was notoriously shy and attracted a lot of academic jealously and accusations of plagiarism, with some foundation, but there is no doubt that he earned a place as one of the great movers behind the development of modern civilization.